We are very much a nation of foodies here in the UK. Since so many people enjoy browsing through pictures of mouth-watering meals, it's no surprise that recipe books are incredibly popular gifts for every occasion. Then there's the Internet, filled with sumptuous offerings to tickle every taste bud. Meanwhile, celebrity chefs like Jamie Oliver, Gordon Ramsay and Mary Berry are everywhere. Turn on the television or open a magazine and sure enough, you'll see someone whipping up delicious dishes for you to recreate in your home. However, just watching a popular cookery show isn’t enough to turn you into a Master Chef. In reality, you'll need additional guidance if you really want to cook a "celebrity inspired" meal at home. Fortunately, there’s plenty of support out there if you know where to look. Cookery classes are now hugely popular, especially if you're interested in learning new kitchen skills...and making new friends along the way. Keep an eye out at your local restaurants, pubs, supermarkets and department stores. These venues often run their own cooking classes and demonstrations. We've also got some specific cooking courses to whet your appetite. Ministry of Food (multiple locations). Celebrity Chef Jamie Oliver’s popular campaign has branches across the north of England. Jamie’s ethos is that everyone should have the skills to cook a range of simple healthy dishes from scratch, so you can pop along to any of the venues and learn to do just that. The Vegetarian Society Cookery School (Manchester). The Vegetarian Society Cookery School offers an extensive range of courses if you want to improve a specific skill or learn recipes from a particular place of interest (such as Mexican Cooking or Edible Presents). The Food Works Cookery School (Cheltenham). This programme will show you everything from making an authentic curry to whipping up a sumptuous summer salad. There are even classes specifically for men, offering up some beefy cooking skills (like improving knife techniques or preparing hearty British puds)! Dine-in Workshops (Bristol). If you’d like to do a little socialising while you brush up on your skills, sample one of the The Little Kitchen’s Dine-in Workshops where you can sample a range of cuisines from around the world. Ashburton Cookery School (Devon). This renowned venue offers up classes on everything from rolling homemade sushi to making your own pasta. The Waitrose School of Cookery (multiple locations). You can learn how to cook the perfect steak or get some inspiration on interesting vegetarian recipes—there’s a wide range of options. Denise’s Kitchen (North London). Run by Denise Phillips (who has over 25 years cooking experience) this programme has a range of classes and themed evenings. Home cooking by Fabienne (North London). If you're looking for strictly kosher classes and demonstrations, you can choose from a variety of dishes including modern French cuisine or Tunisian Sephardic flavours. JW3 (North London). This centre offers an extensive food programme which includes diverse cooking classes, demonstrations from both established and celebrity chefs and even access to exciting food festivals where you can sample some global delights while mingling with other foodies from a Jewish heritage. Little Portland St Cookery School (London). Learn how to make traditional dishes from both Ashkenazic and Sephardic backgrounds with the Best of Jewish Cooking class. Many big retailers, charities and prominent cookery brands offer online advice on meal planning and recipes. 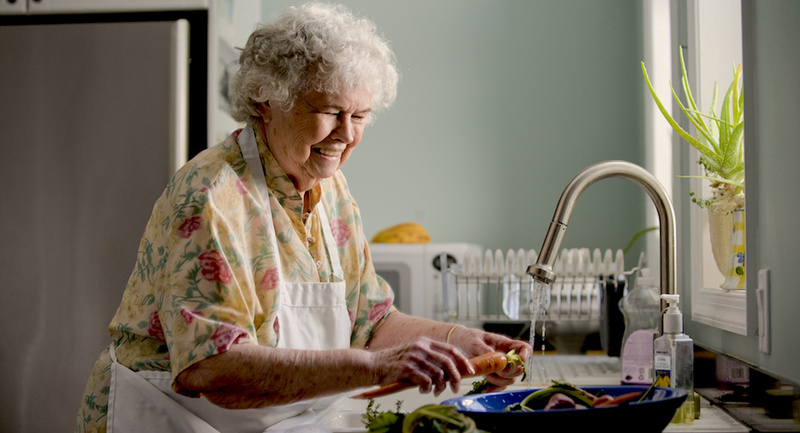 Age UK: Cooking Recipes. Delicious and healthy recipes divided up into main meat and fish dishes, vegetarian dishes and sweets. Age UK: Fit as a Fiddle. This programme includes advice about healthy eating, as well as a range of online cookbooks with inspiration on easy-to-prepare recipes, cooking on a budget and cooking for one. BBC Good Food. Tasty and healthy solo suppers that will make you feel special. Boots: Healthy Eating Health Centre. You can gather recipe ideas and meal plans while researching food allergies, special diets and other information about nutrition. Jamie Oliver: Meals for One. These recipes include beautiful photographs and practical information like level of difficulty and estimated preparation time. Marks & Spencer: Eat Well. Get everything from nutrition basics to menu planning from this site. Sainsbury’s: Healthier Eating. Find quick guides on balanced menus, the importance of whole grains, guidance on heart healthy foods and much more. Tesco: Meals for One Recipes. If you just feel like experimenting with complete meals in small portions, these recipes are suited for one person...sometimes with enough leftovers for another meal. Waitrose: Healthy Eating and Weight Loss. Featuring healthy recipes, diet planning and creative ways to get more fruits and vegetables into your menu, this site has many great ideas. Check with your local synagogue to see if they run any cooking-related programmes. Many synagogues organise projects relating to cookery—providing there’s an adequate kitchen on site. You may discover activities like baking challah to preparing Shabbat dinners. See if you can join in, or offer your help in setting something up. And if volunteering outside of your synagogue is an option for you, why not explore other cooking groups? Some are doing wonderful things to help less fortunate members of their community. If these options don't work for you, look into joining a local community cooking club. Age UK run a scheme called Kitchen Kings, especially aimed at teaching older men how to cook. There are classes run at several venues across the UK. You can also invite a couple of friends over once a week for a cook-along or "bring a dish" evening. This will help to expand your cooking repertoire, explore new dishes and create an opportunity for a fun social occasion. If you have access to some favourite family recipes, why not put them together in a scrapbook? Then you can invite members of your family over to cook and enjoy them with you. You can even arrange for regular meet-ups where you cook together as a family. See how many generations you can get cooking together in your kitchen! Finally, if you want to make sure you are getting all the nutrition you need and you’d like to have a go at a new recipe, have a browse through our selection of healthier traditional Jewish recipes, from both Sephardic and Ashkenazic backgrounds. Whatever you decide to sample, just remember that cooking should be enjoyable. Have some fun, try new foods and bon appetit!